these are regularly held in the gardens of the more stately type of home. Fancy dress is pretty much compulsory but of course the pugs change into their gear after the games and competitions. And for the owners there is the most delicious tea. 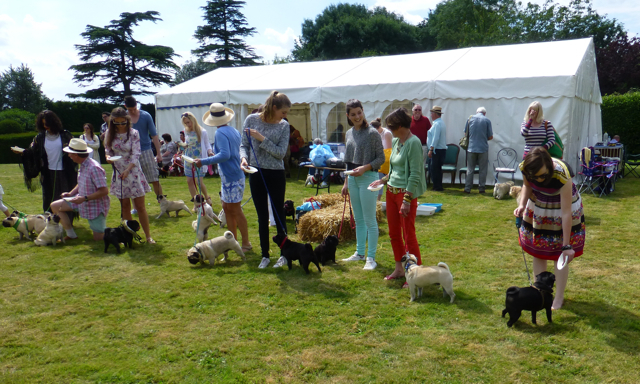 These are fund-raising events for PDWA the charity that rescues and re-homes pugs.